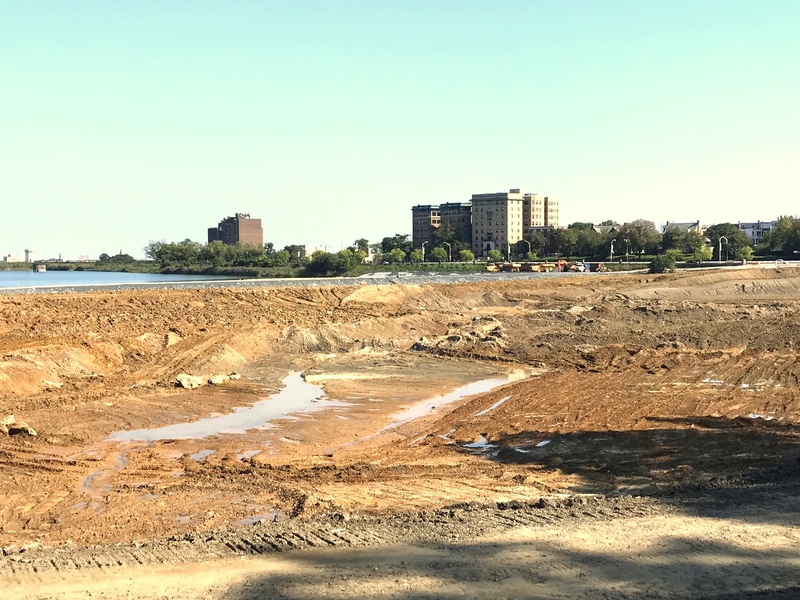 In 2009, the Sheila Dixon administration believed that it had found a way to keep historic Druid Lake intact while satisfying the Environmental Protection Agency’s new regulation to improve water quality nationwide. The regulation, known as the Long Term 2 Enhanced Surface Water Treatment Rule or LT2, required reservoirs holding “finished,” or treated, water either to be enclosed with a roof or to install advanced chemical treatments before the water is discharged to homes and businesses. 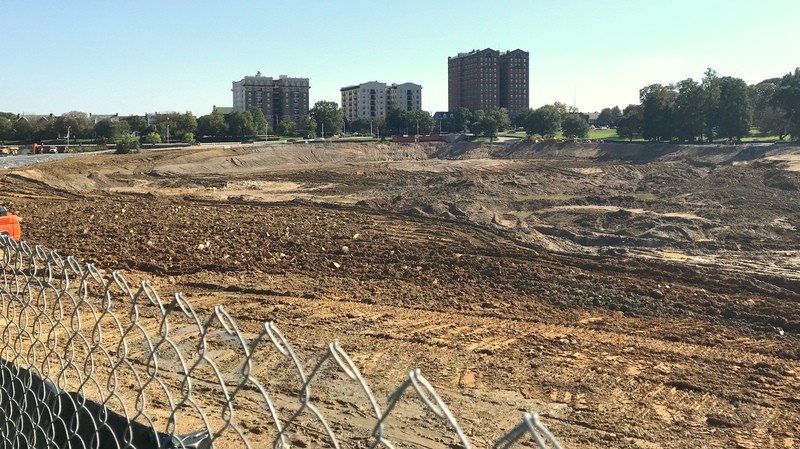 For its small storage reservoirs at Guilford (near Loyola University) and East Towson (off Hillen Road), Baltimore’s Public Works Department opted to build covers over the facilities. But for the two large drinking water reservoirs at Druid Lake and Ashburton, the city decided to use ultraviolet (UV) disinfection to treat the water. This would keep the reservoirs – long the aesthetic centerpieces of historic parks – intact, while keeping disruption to surrounding communities at a minimum. 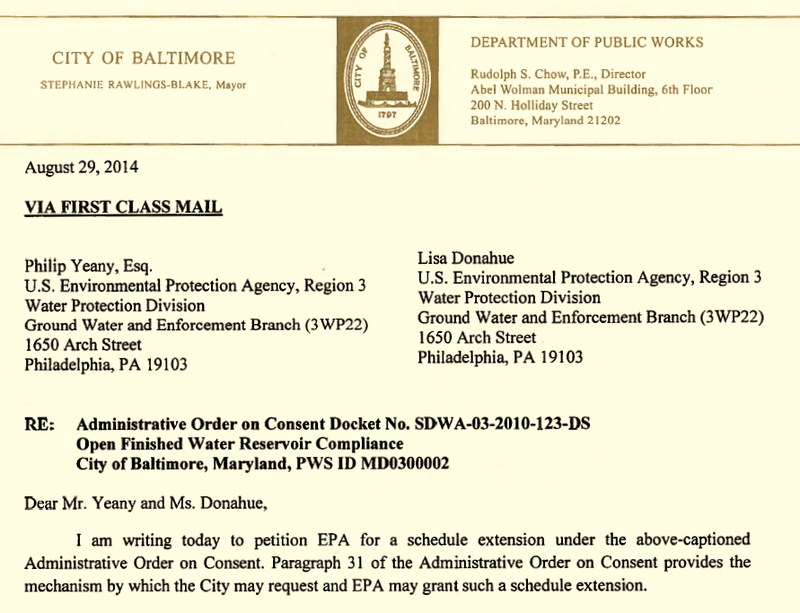 The Maryland Department of the Environment (MDE) approved the disinfection plan on May 1, 2009. The Dixon-era Board of Estimates authorized the execution of the agreement on September 2, 2009, and the EPA later ratified the settlement. FACT BOX: Druid Lake is the region’s largest drinking water reservoir. When on-line, it supplies between 12 and 15 billion gallons of the 93 billion gallons of water consumed annually by households and businesses – or 12-16% of the total. To get the process moving, Whitman, Requardt & Associates was asked to design the UV facility at Druid Lake, and Hazen & Sawyer/AECOM was hired to plan the UV plant for Lake Ashburton (Hanlon Park). All of that changed with the incoming Rawlings-Blake administration. The new mayor replaced DPW Director David E. Scott with Alfred Foxx, and Foxx installed Rudolph S. (Rudy) Chow, a retired sanitary engineer from Montgomery County, as chief of the water bureau. By early 2012, WR&A had located potential sites for the UV plant at Druid Lake as well as a “conceptual” price for the treatment plant and the related pipes – $40 million. But Chow said he was thinking on a broader scale, namely his hunch that EPA might disallow the use of UV disinfection in the future and demand that all drinking water reservoirs be covered. He ordered WR&A to develop a “piping concept” that would involve the construction of two enormous below-grade tanks at the western end of Druid Lake and the reconfiguration of water mains under the park to bring “finished” water directly to the tanks. The new plan meant that Druid Lake would no longer be a finished water reservoir and could be converted for recreational uses. At a June 26, 2012 community meeting, Chow called this prospect a “win-win” for the city and for park goers. Chow also changed the direction of the Ashburton project, vetoing the disinfection plant in favor of two sprawling storage tanks at Hanlon Park. Not publicly discussed by Chow, Mayor Rawlings-Blake and others was the cost of the piping concept. WR&A estimated the new design for Druid Lake at $80 million, or double the disinfection plant proposal. Roughly the same escalation in cost was estimated at Lake Ashburton, where the proposed tanks would be buried under 50 feet of solid rock. The high initial cost of the storage tanks would be offset by lower maintenance and operating costs, according to WR&A. But looming over these savings was the life expectancy of the underground tanks. When would they have to be rebuilt or replaced? As it turned out, WR&A vastly underestimated the costs of the storage tanks. When bids were opened by clerks at the Board of Estimates in the summer of 2016, they ranged from $134.5 million to $155.9 million. Renda beat out two local competitors, as well as the DPW’s own estimate of $156 million, by proposing a cofferdam on the cheap. The contractor would build the dam at Druid Lake not with conventional steel sheet pilings, but rather with 100,000 tons of rip-rap rock, basically rubble. The rip-rap had the potential of introducing considerable amounts of quarry residue into the reservoir, not to speak of churning up long-settled bottom sediments. 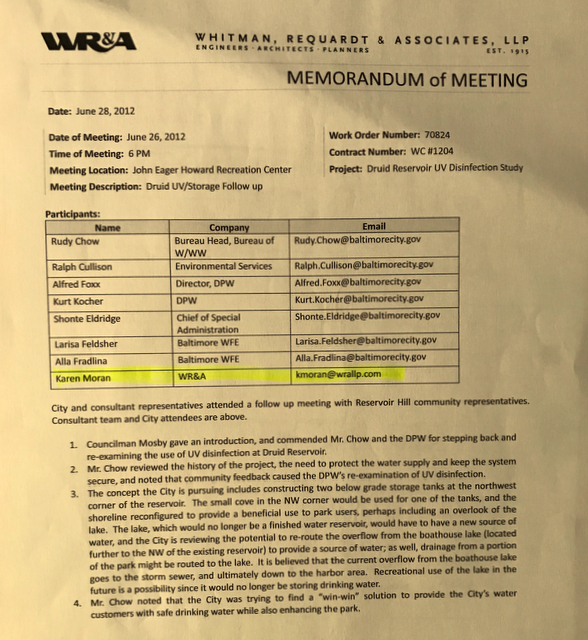 To avoid possible contamination, Oscar Renda proposed – and DPW approved – the placement of “turbidity curtains” on the drinking water side of the cofferdam. Shortly after construction of the cofferdam began last fall, turbidity readings shot up, indicating that the water was being contaminated by sediment and other solids. The lake was taken “off line,” meaning it was not supplying the system with its expected 30-40 million gallons of water per day. The reservoir was used off and on as a source of the region’s drinking water in November and December 2017 before it was shut down completely in January. DPW officials have repeatedly declined to say why the turbidity curtains didn’t work. Informed sources tell The Brew that, among other factors, the curtains were too short and did not reach the bottom of the reservoir. This caused sediment churned up by the dumped stone to migrate into the drinking water. Needless to say, the closing of Druid Lake has punched a hole in the city’s overall water network. Druid Lake is the system’s largest drinking water reservoir. When on-line, it supplies between 12 and 15 billion gallons of the approximately 93 billion gallons of water consumed annually by the system’s 1.8 million customers – or 12-16% of the total. PART 1 of this story is here. To contact the reporter: reuttermark@yahoo.com.